Fear can paralyze individuals, making them incapable of acting rationally. And irrational fear can send a whole nation into a frenzy. When my mother was a small girl — about four years old as I recall the story — she suffered an almost fatal snake bite from a poisonous copperhead. There was no medical help available anywhere near the remote farm and she was at the mercy of well-intentioned people who mostly did the wrong things. Out came a pocket knife, the blade "sterilized" if at all by holding it in the flame of a match, and an X was cut in her leg to "let the poison out." Somebody else killed a chicken, cut it open and laid it over the wound "to draw the poison out." Somehow, the little girl who would become my mother survived, but both her leg and her psyche were scarred for life. She attempted to pass her life-long fear of snakes on to my brother and me. "Don't get on a snake!" was her warning every time I would get near a woods or weed-filled field. The few snakes I encountered were all of a harmless variety, and as eager to avoid me as I was to get away from them. Maybe mama snakes warned their young to stay away from people. Our country is currently in the grip of irrational fear of the Ebola virus, and the confusing information about quarantines and treatment fuels the fear. I am reminded of our earlier fear of HIV/AIDS, and of the fear of polio in my childhood years. When I grabbed a shopping cart at the grocery store earlier this week, a nice lady said, "You really should wipe off the handle with these disinfectant wipes." I smiled and said, "You're probably right, but everything I'm going to put in the cart has been touched by human hands, and I can't disinfect every item." I think I spoiled her whole day. Ebola is a deadly disease, not one to be taken lightly. But it is also a very difficult disease to catch. If I had some weird compulsion to infect myself with the Ebola virus today, I wouldn't know where to start. 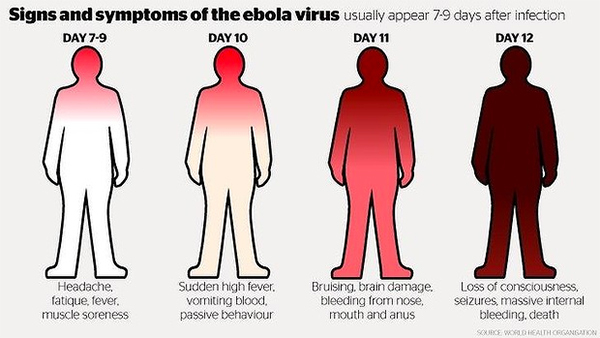 I don't know anybody who has Ebola, or who even has Ebola-like symptoms, or whose body fluids I am likely to encounter. Yet the fears continue to be fed. "Securing the border" makes good campaign rhetoric, but does anybody know how to secure our 1,933-mile border with Mexico or our 3,987-mile border with Canada to keep dread diseases out? Our collective fear makes us as irrational as the woman who attended a conference in Dallas, stayed at a hotel ten miles from Presbyterian Hospital where Thomas Duncan died, then requested a three-week leave of absence so she could quarantine herself when she returned to her home in Maine. 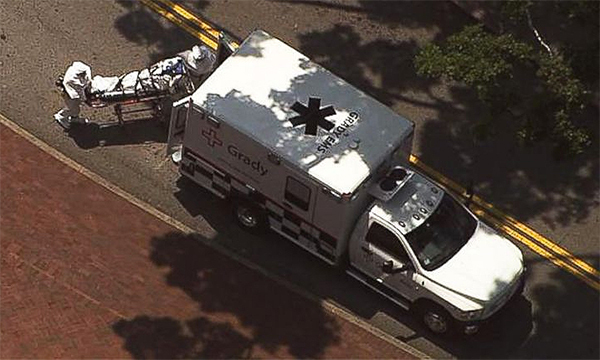 In New Jersey, two children were kept home from school because they had moved to the United States from Rwanda in East Africa, more than 2,600 miles from the West African nations where Ebola is rampant. Here are some facts to help calm your fears, or at least point them in a different direction: While more than 5,000 people have died from Ebola in West Africa, only one has died in the United States, another is still in treatment, and seven are fully recovered — a total of nine people treated for Ebola in our country. We deprive ourselves of so much when we live in fear. In contrast, the "Spanish Flu" epidemic of 1918-19 killed more than 500,000 people in the U.S. The Centers for Disease Control estimates that 60 million Americans will get the flu this year, and as many as 49,000 will die from flu and related complications. In contrast to Ebola, flu viruses are airborne and easily spread. If you just have to fear a disease, flu is a much more fearful enemy than Ebola. We deprive ourselves of so much when we live in fear. Maybe it's time to read the twenty-third Psalm again, paying particular attention to "Even though I walk through the valley of the shadow of death, I will fear no evil..." (Psalm 23:4 ESV). And don't forget: "For God has not given us a spirit of fear and timidity, but of power, love, and self-discipline (2 Timothy 1:7 NLT). As always, Jesus has the last word: "Do not be afraid of those who kill the body but cannot kill the soul... (Matthew 10:28 NIV). So Who are You Afraid Of? "Do Not Be Afraid" by Phillip Morrison is licensed under a Creative Commons License. Heartlight encourages you to share this material with others in church bulletins, personal emails, and other non-commercial uses. Please see our Usage Guidelines for more information.